NHK Spring (Thailand) Co.,Ltd. received a certificate of ? Utilization to the University? from Rajamangala University of Technology Thanyaburi. On Friday 18th January 2019, Miss Panida Tangyai,General Manager, Representative of NHK Spring (Thailand) Co.,Ltd., participated in the ceremony of “ Utilization to the University”. 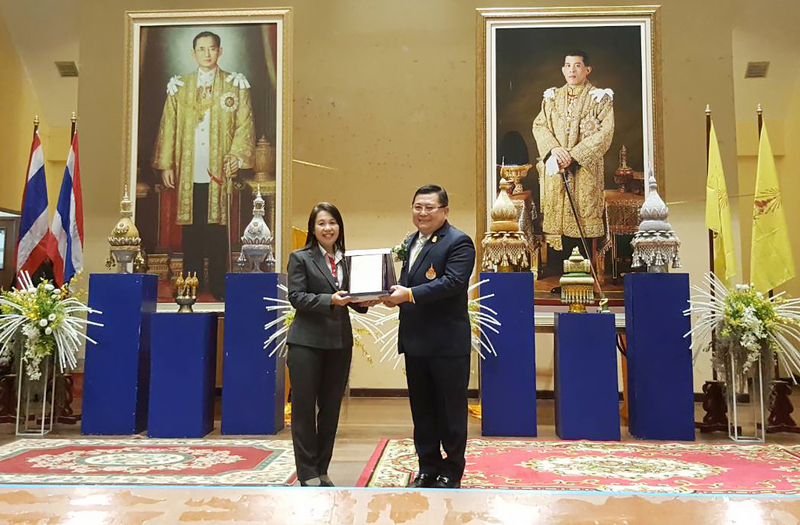 Associate Professor Dr. Prasert Pinprathomrat, President of Rajamangala University of Technology Thanyaburi, awarded.